Girl with the Iron Cast? It’s no secret that I love cooking with cast iron cookware, but GWTIC came about in a… unique way. In February 2018, I was involved in a freak accident that snapped my arm in half. 5 days in the hospital, 1 huge plate and a bunch of screws later… there I was unable to do what I loved the most, cook. During my recovery (when I wasn’t at a million doctors appointments/physical therapy) I sat around frustrated and unable to cook. I often say how therapeutic cooking is, so it sucked I couldn’t do just that. I started gathering all my recipes, old (terrible) food photos, and decided I’m going to share these recipes because if I can’t cook them right now, maybe someone else will. Maybe I can inspire someone to love cooking as much as I do. Girl with the Iron Cast. 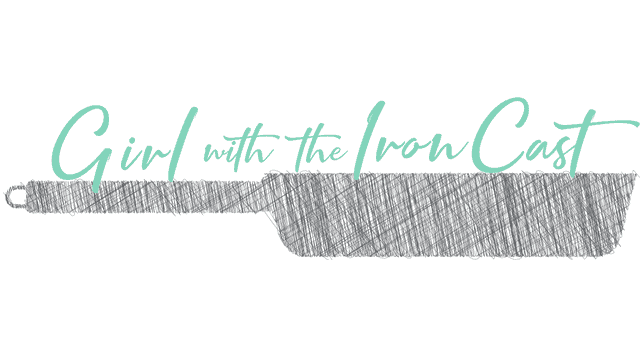 The perfect play on words, not only for my love for cooking and my new metal accessories… but how tough iron is, what it can endure, and what I can endure. Unfortunately, I needed a second operation due to the first one failing, but finally over a year later I am healed and getting to do what I love again, COOK! They say everything happens for a reason and I guess if that accident didn’t happen, I wouldn’t have known how much cooking meant to me and I wouldn’t have created this platform to share it with others. If any of my recipes can inspire you to cook more or just develop your love of food more, I’ll be one happy gal! Thanks so much for being apart of the journey.